Do you practice what is preached? If you are like me, I imagine you hate it when you fail to do so. How often do you feel motivated to imitate Christ in a certain way in a certain place and end up falling short? 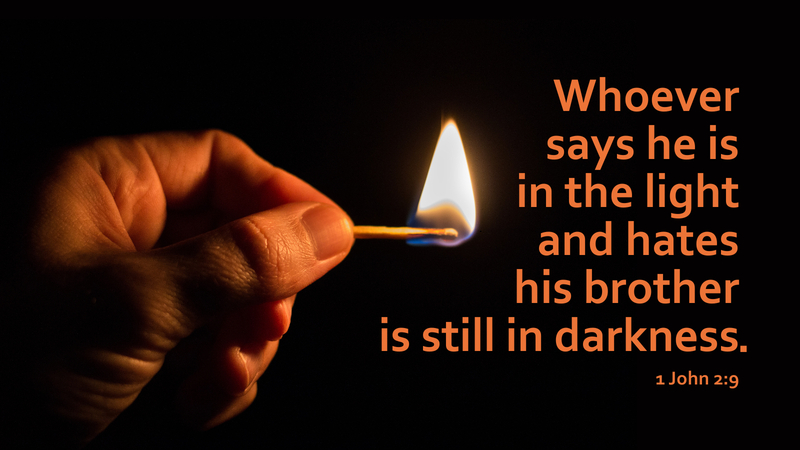 We might deeply feel the words, “Anyone who claims to be in the light but hates a brother or sister is still in the darkness.” When I fail to share the Good News with others whether by fear or guilt or choice, I have done a disservice to Christ. The darkness closes in on us. But, as John writes, while an old command to love one another, this command is new. “Its truth is seen in [Christ] and in you, because the darkness is passing and the true light is already shining.” We are motivated that the darkness is passing and the light is already shining. Though we struggle in our pilgrimage to practice what is preached and share the love of Christ, we take comfort in knowing that where we have failed, Christ is victorious and we have been made victors only in His name. Prayer: God of Light, shine into our perpetual darkness the light of your Christ that we may confess Jesus as Lord and truly love our brothers and sisters as we are loved by Him; in the name of Jesus, our light of truth. Amen. Today’s devotion was written by Mathew Magera, pastor of St. Thomas Lutheran Church, Trufant, MI. There is a song that has lyrics stating that “our world is not falling apart it is falling into place.” As we see what we do as a failure, maybe God has already taken the steps to show those around us that He is still working through us. I see failures in my life all the time, but we are our toughest critics as I was told in high school Bible class. We need to let go, not think of what we are doing and allow God to do HIS work.